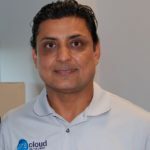 Since 2007, OneCloud Networks has been a BroadSoft service provider, providing VoIP voice and data solutions to customers across the US and Canada, with major markets in Dallas and NYC, and a newly launched UK arm. Replacing legacy PBX solutions, OCN cloud communications saves customers approximately 40% on business phone systems and equipment. However, it’s not just about phones. OCN is driven by: 1) customer service, and 2) solutions that increase business presence and efficiency. In a world where most cloud-based phone systems are now shipped to the end customer to install and implement themselves, not surprisingly so, most of these companies have very high churn rates, often at 20% or more. OCN selected a different route. OCN provides high touch customer service, in-person professional installation, and maintains a churn rate of less than 1% across nine years in business. Cloud-based voice solutions began in the SMB space and have been working their way up into larger enterprises, now used by many of the largest corporations and household brands you recognize. The move to larger enterprises is largely driven by business efficiencies gained through unified communications and collaboration solutions (UC or UCaaS), as well as reduced/eliminated capex costs and total cost of ownership (TCO). For the SMB space, quickly establishing professional presence is critical, and running the business efficiently can be the difference between success and failure at a rapid rate. UC solutions provide immediate professional presence and typical features such as auto attendant with a professionally recorded custom greeting and music on hold. Efficiency is immediately increased with collaboration capabilities, chat/instant messaging to get quick answers to questions and provide immediate customer support rather than followups. With the ever increasing mobile workforce and delay of small businesses in obtaining office space (if ever), instantaneous video calls and desktop sharing bring the team together as if everyone is in one place. 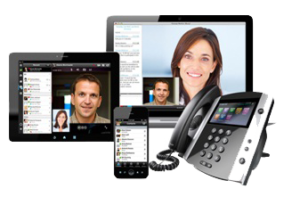 Integrated capabilities for online/web meetings provide both professional presence and efficiency. And these features are included all in one packaged price. Q: Why did you select BroadSoft? A: OCN has a long history with BroadSoft. Several OCN team members worked directly for BroadSoft as engineers and have been involved with BroadSoft and VoIP for more than 15 years. BroadSoft is the majority market share holder, though that is not a widely known fact. BroadSoft does not sell direct, only through service providers, so it’s not a household name. When you combine all the service providers, BroadSoft is the unequivocal market leader. They have 55% US marketshare and 30% globally, with 19 of the top 25 service providers leveraging BroadSoft technology (Frost & Sullivan). Having the background with BroadSoft, we wanted to stay with the best. Q: How has the company evolved? A: OCN began providing VoIP solutions through BroadSoft’s BroadWorks and other platforms, building out our own network and infrastructure, mostly selling through resellers. However, with BroadSoft’s release of their hosted BroadCloud unified communications (UC) solution, we recognized an opportunity to leave the engineering to BroadSoft and focus 100% on our customers. OCN was an early adopter, releasing our InfusiONE solution powered by BroadCloud. Transitioning to this environment enables OCN to provide rapid provisioning and deployment for our customers and resellers. Q: What value add has the InfusiONE solution provided for OCN customers? A: Many benefits. Rapid deployment is great for businesses who need to get up and running quickly with a professional presence. For a small business, it’s a full communications package in a box! InfusiONE also ensures customers always have the latest technology available. When BroadSoft releases the next version with new features and capabilities, this functionality is almost immediately available to OCN customers. Service providers without BroadCloud have to implement new features within their environments, test, train their employees to implement, prepare marketing and rollout campaigns, etc. InfusiONE being powered by BroadCloud means any new features and capabilities rolled out by BroadSoft are available and implemented within InfusiONE immediately; training and foundational marketing materials are delivered ahead of each release. We test and come up to speed internally to ensure we are ready to demo and provision for our customers, but this is a rapid turnaround cycle. This means our customers have the latest technology and can put it to immediate use for competitive advantage. Q: What about security and business continuity? A: This is an easy answer. A company with more than 700 resellers in 90 countries around the world has far greater resources available to it than any individual service provider ever could. Previously OCN had to ensure its own security and redundancy for our own infrastructure. With BroadSoft maintaining the infrastructure for BroadCloud, this is automatically available for InfusiONE and now we only have to worry about ensuring our customers have the best data service they can get for that last mile. We partner with several data providers so we can help our customers ensure the best service, and we recommend a separate backup service for redundancy. OCN customers can get their data directly from data providers, or through OCN and our partner network. 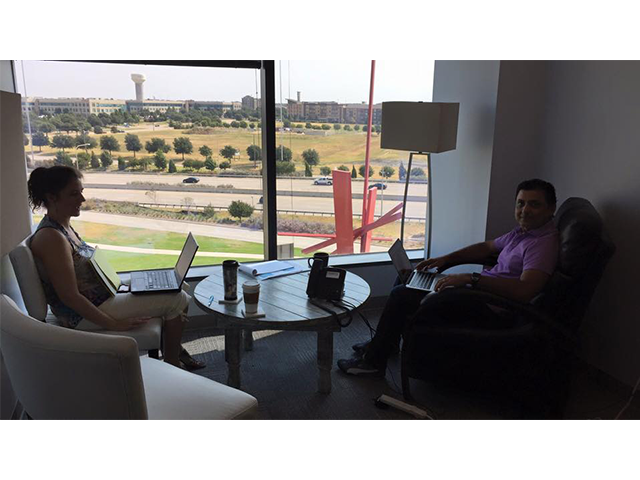 Q: Tell me more about UC or UCaaS and what all the buzz is about. A: Unified communications, or unified communications as a service, or unified communications and collaboration (UC&C)…it’s kind of acronym soup and the solutions are all blending at this point. Basically it means combining voice, or traditional phone service with its typical features (auto attendant, music on hold, hunt group, voicemail, extension dialing, even call center if needed), with other features such as some we have talked about: presence, chat/IM, desktop sharing, web meeting, audio and video conferencing, Outlook integration, and Chrome dialing, for example. You can even integrate these with your CRM or other enterprise platforms if desired, or Google Apps or Office 365. So from a features and functionality standpoint, all your systems can be combined and tied together, reducing the different applications used, and reducing or eliminating the requirement for IT resource to manage infrastructure type apps. And it’s all in the cloud, which enables IT to focus on your premium business needs. UC also provides mobility, which has become the dominant mode of business operation and a critical need for most businesses. The InfusiONE solution gives customers a deskphone (if they want it) as well as an app with a softphone on their computer, tablet, and mobile that are all tied together, at one flat price. This protects your business identity even from within the field and maintains your business intelligence within your organization. Business Week. This offers an all inclusive UC solution for a fixed price of $37.49, demonstrating OCN’s commitment to entrepreneurs and small biz. Q: Have you seen high adoption of video, and what advantages does it offer a business? A: Adoption of video communications is increasing, but it is not mainstream yet. Many businesses still think video is extremely expensive, as it has been in the past. However, with UC, it’s part of the package, with no upcharges. For quick adopters, this provides a significant opportunity to increase their competitive advantage. Customer loyalty increases when customers can put a face with an organization. People also have a much harder time saying no in person than via email or a voice only call. Businesses offering video calls greatly increase their close ratio for sales, and customer satisfaction rates for service. Businesses can also leverage video internally with their own teams, reducing travel time and costs to get face time with remote workers; or reduce office space costs and increase employee satisfaction allowing more work from home time. Simply stated, the use of video enables valuable face to face time without being physically present.